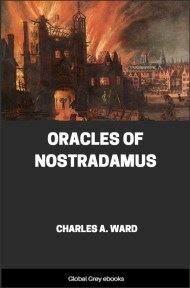 Like the better known Prophecies of Nostradamus, the Prophecies of Paracelsus are exceedingly cryptic, filled with allegorical symbols and capable of being reinterpreted for any purpose. It comes with 32 surreal woodcuts which seem to reveal additional details about each prophecy. THEOPHRASTUS BAUMBAST VON HOHENHEIM, commonly known as Paracelsus, the famous Swiss Physician, Alchemist and Occultist of the sixteenth century, was born on the 10th November, 149 3, at Sihlbrücke, near Einsiedeln, Canton Schwyz, and died on the 24th September, 1541, at Salzburg. 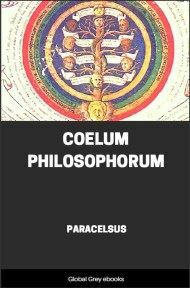 Contemporary with Charles V, Luther, Erasmus, and Cornelius Agrippa, Paracelsus stands out as an extraordinary character that has been for a long time misunderstood by the majority of the learned and unlearned alike. 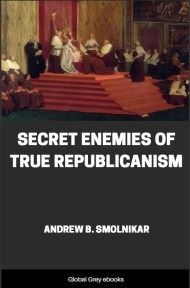 Living in the age of the Reformation, siding neither with Catholic nor Protestant, he distinguished himself as a free lance in Medical Science and Occult Philosophy, and would have been known as a Mystic had his religious writings not been so carefully suppressed as to be altogether forgotten. Paracelsus then claims our attention as Alchemist, Physician, Occultist, Mystic, Astrologer and lastly as Prophet, and it is in this last capacity that we shall regard him, as we are about to study and thereby rescue from oblivion those at one time famous predictions, of which some have been remarkably accomplished,, while others may be considered to be still in actual course of fulfilment. Concerning the life of this remarkable man we are informed that his first teacher was his father, the learned Wilhelm Baumbast von Hohenheim, a physician, who took pains to instruct him in all the learning of the time, especially in Medicine. At the age of sixteen young Baumbast entered the University of Basle. But he soon abandoned academic studies, preferring the mystic and occult teachings of the famous Adept, Johannes Trithemius, Abbot of Spanheim, a noted Alchemist and Divine, whose ideas he absorbed. However, he soon forsook the Abbot, as he had previously forsaken University culture, to study Metallurgic Chemistry in the mines then owned by the Fuggers in Tyrol. It is not my intention to give a description of the Life of Paracelsus, as such an excellent account appears of him in the eleventh edition of the Encyclopaedia Britannica. Fuller biographical details are given in The Life of Paracelsus, by Dr. Edward Berdoe, M.R.C.S., in the Life and Teachings of Paracelsus, by Franz Hartmann, M.D., and in The Life of Paracelsus by Anne M. Stoddart. Those who read German will find interesting details in the little volume, Theophrastus Paracelsus, sein Leben und seine Persönlichkeit, by Franz Strunz. 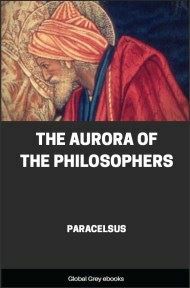 I must, however, differ from the last-named author, who would claim Paracelsus for the Pantheon of German fame and would endeavour to prove that he was a German. He was not. Paracelsus, although he preferred to lecture and write in German, was all his life, heart, soul and backbone, a Swiss. This en passant. He then mentions his principal teachers. 'First, Wilhelm von Hohenheim, my father, who never failed me. 'I studied the writings of ancients and moderns, and had a number of teachers I can hardly name. Fugger may have largely influenced his mind in Alchemy, but in the recently unearthed theological writings of Paracelsus mentioned by Professor Karl Sudhoff in his learned work Versuch einer Kritik der Echtheit der Paracelsischen Schriften, 2. vols., Berlin, 1894-1899, we find a clear indication that he derived his prophetic gift from that source of all Prophecy--Mystic Illumination. 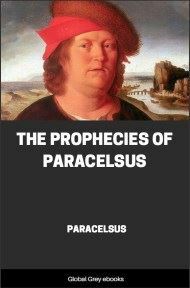 Paracelsus--he assumed that name when he began to teach, to indicate his superiority to Celsus--was for all his numerous instructors, to a great extent, like all adepts, self-taught and soul-inspired. A mystic leading a sexless life, he had glimpses of Cosmic Consciousness or Divine Illumination, far transcending the knowledge of his time, and while under such inspiration, that secret spring of all genius and prophecy, he wrote and said more than he knew in his mortal mind. Searching for knowledge and truth, roving through various countries, practising and teaching a system of empirical medicine which we will not here discuss, he got into touch with life in all its phases, and into a state of mind most favourable to the attainment of that Kabbalistic state of Cosmic Consciousness, or Divine Illumination, which rays forth throughout his luminous writings.